NBC’s Alex Seitz-Wald writes that the Democratic National Committee will announce today that it's planning to contact 50 million voters before the November elections. Nate Cohn writes that the exit polls were wrong; Trump never won college-educated whites in the first place. 2020: Jeff Flake is going to New Hampshire. And Montana Gov. Steve Bullock is headed to Iowa. 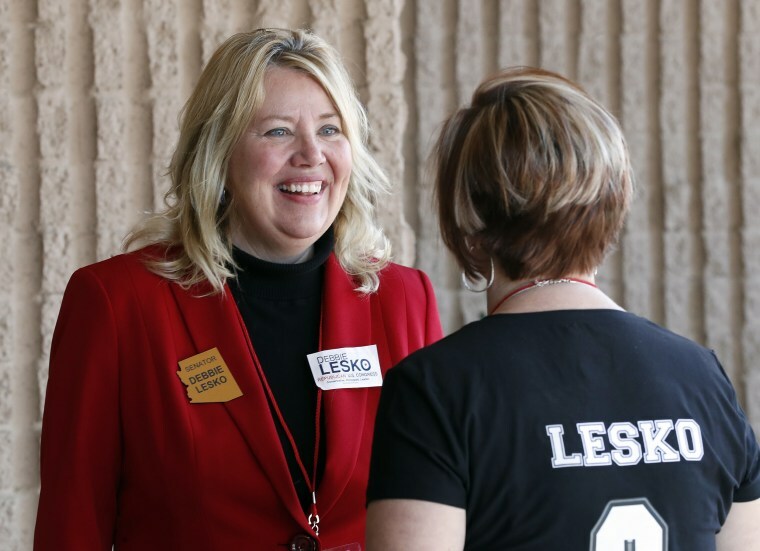 AZ-8: Republican Debbie Lesko bested rival Steve Montenegro and ten others in last night’s GOP primary to replace Trent Franks. Alex Seitz-Wald takes a deeper look at the race here. FL-SEN: A new Quinnipiac poll shows Bill Nelson leading Rick Scott — but not by much. MO-SEN: Josh Hawley is officially in the race, FYI. MS-SEN: Donald Trump endorsed Roger Wicker as the incumbent braces for a primary challenge from Chris McDaniel. NV-SEN: Dean Heller will officially announce his re-election campaign on March 12, reports the Nevada Independent. PA-18: The Cook Political Report now rates the special election in Pennsylvania as a toss-up. Adm. Mike Rogers, the director of the National Security Agency, told members of Congress yesterday that the U.S. is “probably not doing enough” to combat Russian attempts to interfere in U.S. elections — and that he hasn’t been given the authority to counteract them. And then there’s this: Kushner is losing his top-secret security clearance. Robert Mueller has dismissed a series of criminal charges against Rick Gates after his guilty plea. That Trump statement announcing the naming of Brad Parscale as Trump 2020 campaign manager may have violated federal law by using Jared Kushner’s official title. Benjy Sarlin outlines six proposals to reduce gun violence. And the Wall Street Journal notes that Congress is still looking to Trump for guidance on what to do next on guns. Pete Williams previews today’s arguments at the Supreme Court over attire at polling places.